It is no secret that the UK driving test is not a walk in the park. In fact, the UK is regarded as one of the most difficult places to pass a driving test. 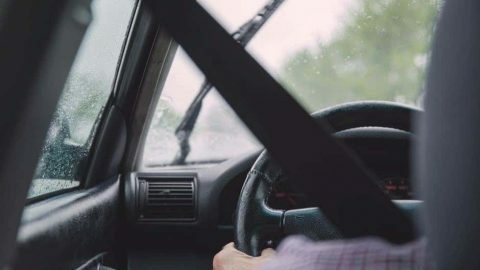 According to Driving and Vehicle Standards Agency, just 48 percent of Britons fresh out driving school are granted a license each year. The pass rate varies with rural areas having the highest pass rates while urban areas prove to be difficult. For instance, just 28 percent of learners in Belvedere in London pass their practical test while those in rural areas such as the Orkney Islands have a 70 percent chance of passing the driving test. 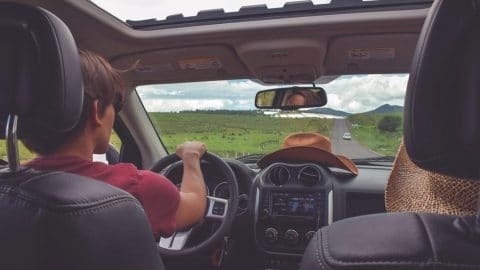 Regardless of whether you’re taking your test in urban or rural areas, if you adapt the following steps, you can be rest assured you will get a direct pass. The examiner does not begin to give you points once you’re driving but before you get out of the parking lot. Obviously, there is the ‘show me, tell me’ part where you’re required to show and explain how to carry out a basic vehicle safety check but most people fail once they’re in the car. Before leaving the parking lot, adjust your seating position, mirror, steering wheel and fasten your seat belt. Always make sure the invigilator is present while you’re following the standard procedure. Keep in mind some examiners intentionally forget to fasten their seat belt but will give you points once you remind them. 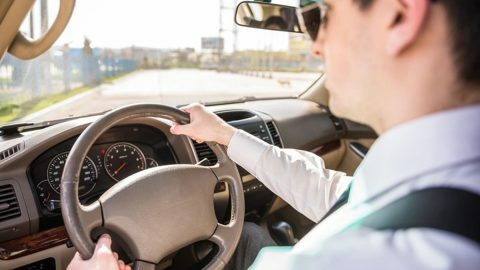 The examiner wants to feel safe and the best way to do it is to keep both hands on the steering wheel while driving. Furthermore, you were taught in class to do so. 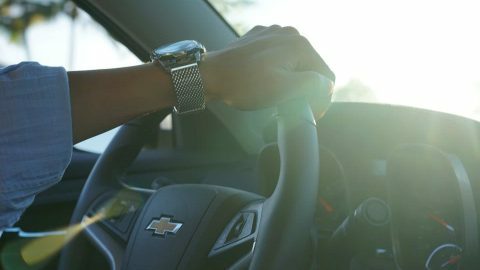 The only time you can briefly remove one hand from the steering wheel is when you’re changing the gear on a manual vehicle or adjusting a signal. Even when you’re the only driver in sight, always signal before turning or changing lanes. After you signal the direction you’re going, look in your rearview mirror followed by the side mirrors before looking over your shoulders. Once you see it is safe, you can go ahead to turn or change lanes. Don’t make the mistake of crossing multiple lanes simultaneously without keeping the momentum pace in each lane for a minute to observe traffic. 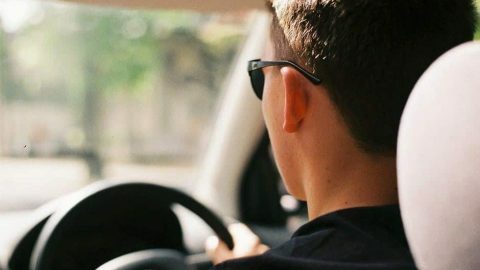 Other licensed drivers can get away with driving 5 mph over or under the speed limit but remember you’re a learner and you can’t afford to surpass the speed limit even by 1 mile. You might have thoughts of having a radar detector in your car prior to the test but it won’t leave a good impression on the invigilator. Most new drivers have a habit of deviating to one side of the road; either too close to the yellow line or too close to the edge. The examiner will definitely notice such blunders and you will lose crucial points. If keeping the car at the center of the lane proves to be a challenge, you can use the imaginary technique to help you out. All you need to do is look further down the road and imagine any subject like a lion, gazelle, or a bear standing at the center of the lane. The objective would be to position your car in such a way that the imaginary animal passes through at the center of your car in between the passenger and driver seat. You could make a stop once you reach a stop sign but if the examiner doesn’t spot a white line just in front of your bonnet, be sure you will lose some points. If you stop at a blind turn, you can move the vehicle slowly and cautiously to monitor when it is safe to make a right or left turn. Give yourself enough space to react between the objects that you encounter on the road. For instance, instead of following the car in front of you too closely, make sure there is a safe following distance in between. If the car in front of you suddenly breaks, you should have enough time to react to avoid hitting them. Remember, if you do happen to hit another vehicle from the back, your driving test will most likely be over. In the same way, the examiner will check whether you look at the rearview mirror before you break. Defensive driving also entails routinely checking your side-mirror, watching over your shoulders and being fully attentive on the road. UK examiners know beginner drivers find it a challenge to drive on a roundabout so they make sure you get tested on that area. Perhaps one of the reason why getting a pass in London or Manchester city is harder than rural areas. Be sure to use the mirrors and the appropriate signal before maneuvering on a roundabout. Always give traffic approaching from the right a priority unless stated otherwise through road signs. Do not at any moment appear to be confused on a roundabout, know which lane you’re going to use and follow the rules. 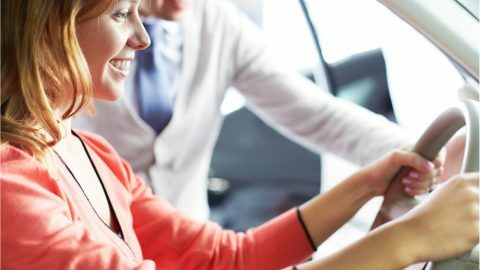 If you follow the above simple tips and practice, you will have no problem passing your driving test. As long as you get your nerves in check, eat well and sleep healthy.